I had a personal investment in the recent sale of Dr. Steven Duckor’s gold dollar collection at the Heritage 2014 Platinum Night auction session. Steve is a good personal friend of mine (and my wife Irma) so we wanted to be there to cheer him on. I also helped him assemble the set and, as a dealer, you don’t often get the chance to sit with a client while his world-class collection is being sold at auction. Steve’s collection contained 54 coins, all of which were in some way special. The final price realized for the set—including the 17.5% buyer’s premium—was $1,912,316. This works out to an average of $35,413 and change per coin. Steve and I each figured the set before the sale and the final price realized was higher than we expected. We were both pleased at the prices, and we both felt that Heritage did an excellent job cataloging, promoting, and selling the coins. I got a lot of feedback about the set prior to the auction and one discussion, in particular, was telling. A dealer whose opinion I respect but who isn’t always the most “upbeat” individual came by my table and told me that the collection was, coin-by-coin, the best specialized set they had ever seen with no “almost there” pieces. And I think this was a perceptive comment. Instead of analyzing each coin, which seems boring to do and boring to read, I’m going to choose three areas and look at a few coins which fall into these parameters. These areas are as follows: Civil War issues, “one offs” and surprises. The five Civil War gold dollars in the Duckor collection were amazing with grades ranging from a low of MS66 to a high of MS68+. 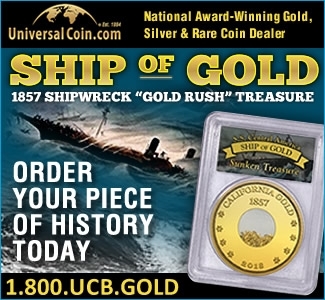 I was pretty certain these coins were going to garner considerable interest as they are in demand by a number of Civil War specialists, not to mention gold dollar collectors. The 1861, likely the finest known as a PCGS/CAC MS67+, sold for $32,900 to a Civil War set builder. The 1862, graded MS67 by PCGS/CAC, sold for $25,850. I consider the first price to be strong while the second price approaches “crazy money” levels. The Brand/Akers examples of the 1863 and 1864 (graded MS68 and MS68+, respectively by PCGS and CAC) were my two favorite coins in the Duckor collection. The 1863 brought an amazing $193,875 while the 1864 sold for a very strong $70,500. Unfortunately, these coins were split up; it is my belief that they have been together for more than a century. The final Civil War issue was a more modest offering: an 1865 in PCGS MS66 with CAC approval which sold for $15,275. In my opinion, this was a good value. The expression “one-off,” in the case of this analysis, represents an issue which the Duckor collection had just one of. I expected these coins to do well for two reasons: they were nice, and they represented the only chance to acquire a specific type with a Duckor pedigree. How did they perform? The Duckor collection contained a number of great S mint dollars but only two, the 1854-S and the 1856-S, were one-year types. The 1854-S, graded MS65+ by PCGS/CAC is the finest known and pedigreed back to the 1997 Pittman sale where it brought $33,000. Steve purchased the coin via private treaty and it was appearing at auction for only the third time since 1949. It sold for $56,400 which is a hair more than I figured (I had it pegged at around $50,000) but which I think is cheap for such a great coin. From a quality standpoint, I didn’t care for the 1856-S coin as much as the 1854-S, but it was likely the second finest known. 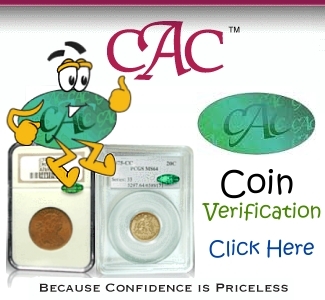 It realized $44,650; I expected it to bring over $50,000 based on another sale of $52,875 for an NGC/CAC coin in February 2013. 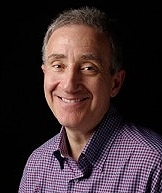 In any comprehensive sale, there are individual results which are surprising. In the Duckor sale, nearly all of these were good surprises. The first surprise was the PCGS/CAC 1851 in MS68 which Steve had bought, against, my strong protests, for $63,250 in an August 2011 auction. It brought $94,000 which, in my mind, is a ton of money for a very common date in a very uncommon grade. The 1857 in PCGS/CAC MS68 was an exceptional coin and I was floored (again) by its final price realized of $51,700. 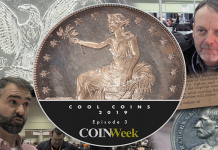 Another coin which brought more than I expected was the PCGS/CAC MS68 1869 which realized $42,300; by far a record price for a business strike for the date. 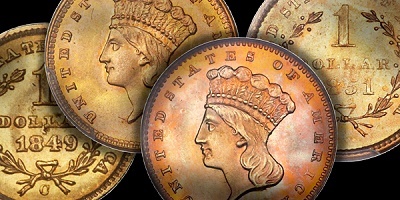 Two more coins which I felt were real winners for Steve were the MS68+ 1880 at $22,325 (an instance where a “+” added a ton of value), and the population 2/0 1887 which sold for a record-setting $35,250. There were a few coins which I’m sure Steve felt were disappointments. One of these was clearly the finest known PCGS/CAC MS65 1860-S which went very reasonably at $31,725. Another was the PCGS 1875 which, while bringing $76,375, was seemingly good value, given the fact that a PCGS 66+ sold for $109,250 in 2010. In the final analysis I thought that prices were mostly strong to very strong. You have to remember that gold dollars are very small coins and despite the fantastic quality of this set, many collectors were never going to participate given the coins involved. 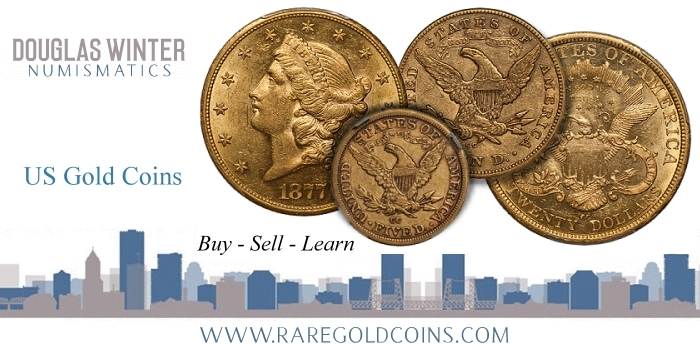 A big winner from the sale was uber-collector Bob Simpson who added many of the best coins from the sale and now has without a doubt the finest collection of gold dollars ever assembled.